My name is Laura Moran and I am 28 years old. I have been employed by the Health and Safety Executive (HSE) for six and a half years, working within the Construction Division as an Inspector of Health and Safety. My role is to ensure that companies comply with health and safety law so that workers and members of the public are not put at risk of harm. 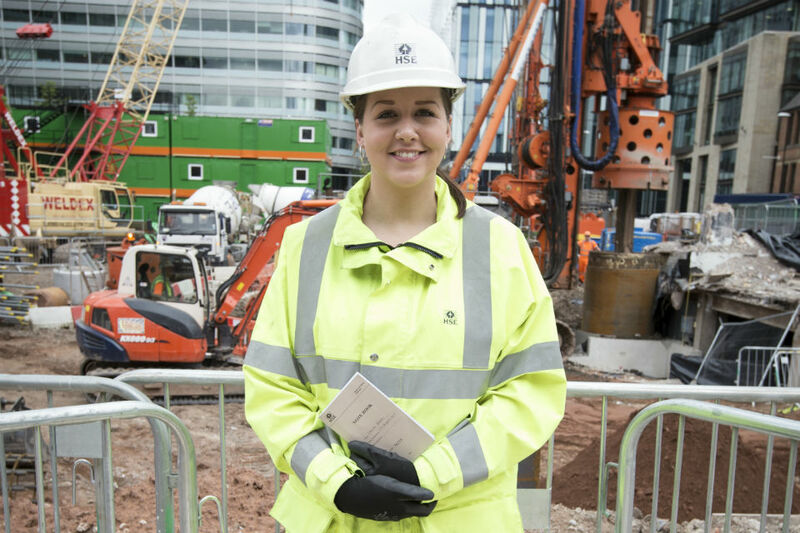 I carry out proactive inspections of construction sites, as well as investigating accidents, cases of ill health, fatalities and concerns about unsafe work practices. Where companies are found to be in breach of health and safety law, I take enforcement action, including serving notices stopping unsafe work or requiring improvements to be made, and presenting cases in a magistrates’ court. Because of the variety of things an Inspector gets involved in, there are lots of examples of what a typical day at HSE might look like. You could be climbing scaffolding, taking witness statements, meeting with the police, presenting cases in court, or getting called out to a major incident. The most challenging aspect of my job is dealing with those whose lives have been affected by a workplace injury or ill health, whether it is dealing with the bereaved families of workers who have lost their lives at work, or seeing how victims’ lives have been changed by serious injuries or disease. However, this also serves as a reminder of why the job is so important. What can also be challenging is making decisions about stopping particular work activities when there is pressure from companies, site managers and even workers not to. Sometimes you are the only person who can stand up for workers’ rights to be protected while they are at work and take the appropriate action to ensure that they are kept safe. HSE has specialist inspectors who can provide support on more technical matters, and we often rely on second opinions from our colleagues to ensure that the decisions we make are fair. I applied for my job after seeing an advert in the local newspaper. I had no previous experience of working in the Civil Service and applied for the job because I thought it looked interesting. I knew I didn’t want a 9-to-5 office job and liked the variation and flexibility this job had to offer. When I joined the Civil Service, I was surprised to learn about the wide variety of roles that available across the various departments, and how many of those roles do not involve sitting at a desk all day every day. I would recommend a career in the Civil Service. The work is varied and there are good opportunities for development in different departments and agencies across the service.